Ever since it came onto the scene with 2003’s Bravo, Norwegian sextet Gazpacho has been among the sharpest needles in the haystack of modern progressive rock. Each of the group’s previous eight studio LPs offered a remarkably refined and inimitable journey into profound sorrows and sophisticated philosophies. Rather than accost listeners with virtuosic musicianship, boisterous production, and colorful timbres (as many genre siblings do, which is totally fine), Gazpacho goes for a more restrained, elegant, and haunting aesthetic, complementing heartrending vocals (courtesy of Jan-Henrik Ohme) and dynamic rock fundamentals with classical orchestration. 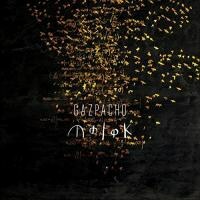 What results is always more than just a collection of songs; as hyperbolic as it may sound, every album in Gazpacho’s catalogue (especially Night, March of Ghosts, and Demon) is an ethereal masterpiece brimming with gorgeous tragedies and inventive instrumentation. Unsurprisingly, its newest opus, Molok, continues the trend, offering another exquisite listening experience. Although it doesn’t quite match the caliber of some previous excursions, it definitely earns its place alongside them, demonstrating once again how creative, stylish, and distinctive Gazpacho is. The album itself is about a man that sometime around 1920 decides that wherever anyone worships a God they always seem to be worshipping stone in some form. Whether it is a grand cathedral, the stone in Mecca or Stonehenge. God seems to have been chased by his worshipers into stone never to return...it also reflects the way God has been incommunicado for a very long time...in a mechanistic view of the universe all events in the universe are a consequence of a previous event. This means that with enough information you should be able to calculate the past and the future and this is what he does. He names the machine ‘Molok’ after the biblical demon into whose jaws children were sacrificed because his machine crunches numbers. On solstice day he starts the machine and it quickly gains some form of intelligence as it races through history undergoing its own evolution [sic]. Furthermore, the official press release reports that the LP finds Gazpacho “becoming the first band ever [to] actively [try] to destroy the universe with [its] album” because “[the] small code that sounds like a strange noise at the end of the album will cause the correction software that runs in all CD players to generate a random number every time the CD is played. If that number should correspond to the actual position of all electrons in the universe, then technically the universe could be destroyed”. Of course, this also plays into the troupe’s thematic agenda, for “if [the universe] can be destroyed by such minute creatures within it—if it is just a chemical reaction—then does it have any spiritual value? In this scenario there is no good or bad, just an absence of meaning”. In this way, Molok is arguably Gazpacho’s most controversial and diabolical outing yet; luckily, its contents does justice to its ambitions. In general, Molok is sparser and less cohesive than its immediate predecessors, a persona made readily apparent by the opening piece “Park Bench”. Gothic percussion mixes with eerie sound effects at the start, which, to be honest, would fit well as a theme for American Horror Story. Shortly thereafter, Ohme comes in with his token fragility and poetic lamentations; he’s easily among the most distinctive and treasured singers in the field. Many other Gazpacho trademarks, such as harrowing strings, gentle piano patterns, heavenly choirs, and bleak syncopation, are there too, yet what makes “Park Bench” so idiosyncratic is its fragmentation. Instead of flowing like a singular vision, the instrumentation changes constantly, as if it’s comprised of several individual segments. This makes “Park Bench” a bit less accessible than prior album openers, yet it’s ultimately among the most ingenious and impressive starting points Gazpacho has ever had. “Park Bench” segues into “The Master’s Voice” seamlessly, as distortion gives way to a chilling piano riff, piercing guitar notes, and more choral wails. It’s a more unified and straightforward track, shifting effectively between somber inclinations and intense outbursts before bleeding into the more bombastic and playful “Bela Kiss.” It’s among the catchiest and most playful tracks on Molok, with an alluring progression between verses and choruses that’s enhanced by hypnotic configurations and eccentric timbres (like horns and accordion). While it evokes elements of its two immediate precursors, “Bela Kiss” also proves that Gazpacho still experiments fearlessly and successfully, sticking to a vision all its own. A more sinister affair overall, “Know Your Time” is fascinating because of how it alternates between stunning balletic despair and hectic retorts. In fact, Ohme has never sounded so menacing. In contrast, “Choir of Ancestors” begins with powerful delicacy, as Ohme pleads with lovely vibrancy as rich piano chords, fierce guitar licks, and angelic female counterpoints provide solace. It’s a perfect example of how every track Gazpacho composes is a work of art, and it provides the perfect moment of calmness before transitioning into the gripping “ABC". With its Gentle Giant-esque rhythmic intricacy and luscious central passages, the track is a tour-de-force of divine tones that envelops listeners in awe. For the most part, “Algorithm” is an instrumental that channels the wounded harmonies, quick momentum, and lively score that made March of Ghosts so impeccable. It moves gracefully into “Alarm", whose dynamic shifts and heartbreaking main riff latch onto your soul for good. Likewise, Ohme continues to convey emotion as no one else can, ensuring that his voice is as vital a part of the formula as anything else. It’s all so remarkable, as is the lengthy finale, “Molok Rising”. A bit warmer at the start (with a bit of Japanese acoustic flair), the ten minute structure transforms with calculated agency, letting the spaces between the sounds serve as much of a purpose as the music itself. It’s ominous yet brittle, with touches chimes and programmed beats adding a layer of Steven Wilson’s industrial panache to the cherished Gazpacho method. Truthfully, it’s slightly too tedious for its own good (it could accomplish more to justify its duration) but there’s no denying the infectiousness of its spectral pastoral collage. It’s often true that the greatest albums are the ones that take the most listens to fully grasp, and Molok is definitely emblematic of that idea. In fact, it’s marginally more impenetrable than many of its forerunners, so even diehard fans of Gazpacho may not embrace it completely until they’ve heard it several times. Overall, it’s not the group’s most captivating or luscious effort (it doesn’t equal March of Ghosts or Demon, for instance) but it comes damn close, making it another masterful excursion into the magnificent splendors and sorrows that make Gazpacho such a one-of-a-kind act.